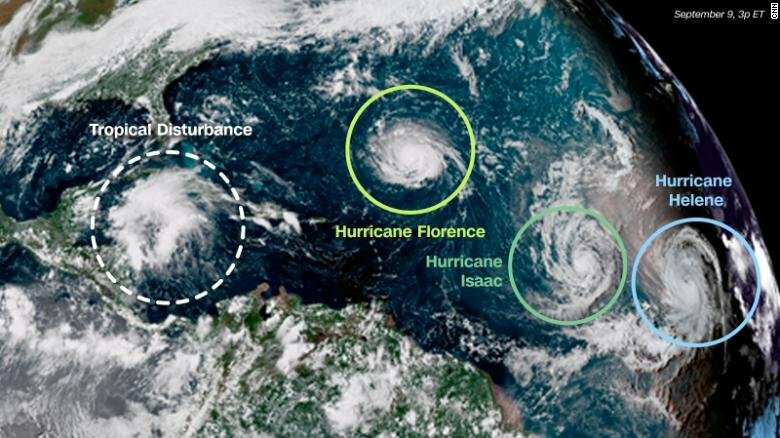 (CNN)All eyes are on Hurricane Florence and its path toward the Carolinas, but other hurricanes are brewing as well. And the timing couldn't be more apt: Monday was the peak of the Atlantic hurricane season, when storm activity has historically been at its highest. "Uranus Opens And Closes Every Day To Let Out Hot Wind"